It is fascinating to see how a confluence of technologies result in new concepts that subsequently become the foundation for the next technological evolution. That is the case with virtualization and Cloud computing. Let us look at how virtual private clouds came in to being, in the infographic below. 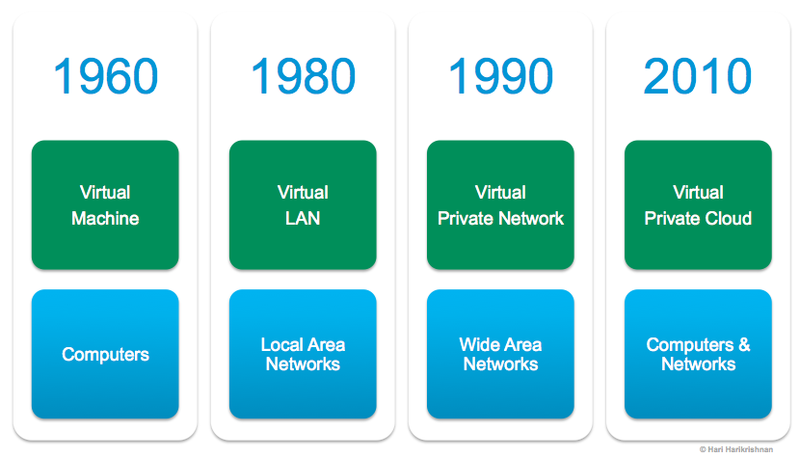 Over the last 50 years, we have cobbled together networked computers accessed over the internet to realize what we now refer to as virtual private cloud (VPC). 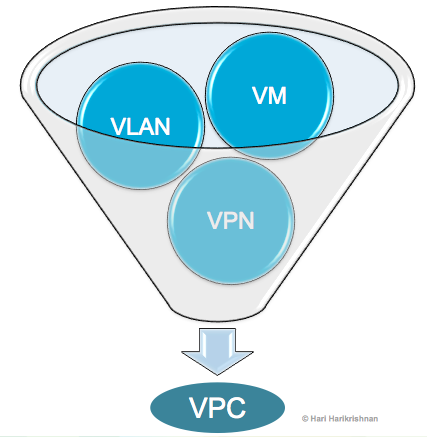 Mind you, I am stopping at the proximate causes of VPC and not digging in to how virtual machines (VM), virtual LANs (VLAN), or virtual private networks (VPN) came in to existence. That would take us even further back in history to multitasking and multiplexing. Add human multitasking too if you would like to ponder this issue beyond information technology. Bringing us back to the present, suffices it to say that without these three technological underpinnings, the notion of cloud computing and VPC as we know it would not exist. Amazon or Google would not be offering VPC services. VPC has arrived. Where will this new foundation take us? Read on to see how service providers’ business has evolved over time, utilizing this technology evolution.